Transformational Security attends various trade shows and events throughout the year at locations across the country. If attending any of the trade shows or events listed below, please visit our booth to learn more about our products and company. Join Transformational Security and Intelligent Devices at the 2018 SOFIC conference at the Tampa Convention Center in Tampa, FL. SOFIC focuses on advanced technologies for the defense industry and support for global Special Operations Forces. The convention attracts military, government, academic and industry stakeholders. 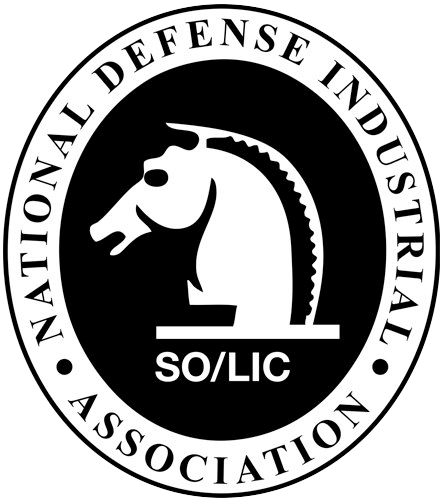 Join Transformational Security for the 30th Annual SO/LIC Symposium and Exhibition. This year's theme is One SOCOM: Synchronizing Policy, Modernization, and Operations. 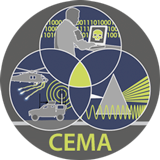 The theme for this year’s CEMA conference is: CEMA as a Critical Enabler to Modernization Priorities. We will showcase the important role CEMA technologies and capabilities can play in helping achieve the CSA’s top 6 priority areas: Long Range precision Fire, Next Generation Combat vehicle, Future Vertical Lift, Network/C3I modernization, Advanced Missile Defense, and Soldier Lethality. Transformational Security will be exhibiting at GSX 2018 at the Las Vegas Convention Center in Las Vegas Convention Center in Las Vegas, NV. We’ll have all our exciting products, and staff on hand to answer all your questions. At GSX, you’ll find the most valuable information, connections, and solutions available. And security professionals like you will come from far and wide to be there. Join Transformational Security and Intelligent Devices at the 2018 SOFIC conference at the Tampa Convention Center in Tampa, FL. 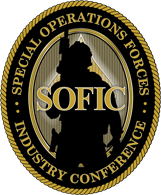 SOFIC focuses on advanced technologies for the defense industry and support for global Special Operations Forces. The convention attracts military, government, academic and industry stakeholders. Visit us at booth 1600. This year’s focus will be on the emerging Joint Army/USMC Multi-Domain Battle concept and the implications with respect to CEMA. The MDB entails a combined arms approach for ground combat operations against a sophisticated peer enemy threat in the 2025-2040 time frame. A more capable adversary places even greater emphasis on space, cyberspace, and other contested areas such as the EMS, the information environment, and the cognitive dimension of warfare. Transformational Security will be exhibiting at the ASIS International trade show. Transformational Security, LLC, will be exhibiting at the ASIS International trade show in Orlando, FL, at Booth 1166. Please visit us at ASIS 2016, where we will demonstrate our new SpeechMask® product line, WASP Wi-Fi Detection Module, and Countermeasures Amplifier (CMA), and showcase the latest development on the next-generation Atom receiver and IPMS system. Jon Whittingham, President, will be there to answer all your SIGINT and security questions. We hope to see you at this very important and exciting event. 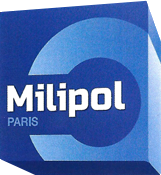 Join Intelligent Devices at this year's MILIPOL exhibition in Paris, France, where industry experts will convene to discuss new security issues and technologies. Representatives from ID will be available to demonstrate its products, as well as Transformational Security's products, and answer questions. Transformational Security will be exhibiting at the ASIS trade show in Anaheim, CA. We are exhibiting in booth number 3173. Visit us at ASIS 2015, where we will have all our exciting products on hand, and staff will be available to answer all your questions. At ASIS, you'll find the most valuable information, connections, and solutions available at the one event with the power of ASIS behind it. And security professionals like you will come from far and wide to be there. 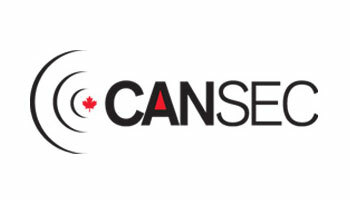 Join Transformational Security and Intelligent Devices at this year's CANSEC, Canada's premier defense trade show, in Ottawa, Ontario, Canada. Representatives from TS and ID will be available at a suite in the nearby Hilton Lac-Leamy to provide information and demonstrate their products to trade show attendees. Interested parties should contact Tim Areson, vice president of Intelligent Devices, at 410-960-1915 for location information. Join Transformational Security and Intelligent Devices at the 2015 SOFIC conference at the Tampa Convention Center in Tampa, FL. SOFIC focuses on advanced technologies for the defense industry and support for global Special Operations Forces. The convention attracts military, government, academic and industry stakeholders. Representatives from TS and ID will be available in a suite in the Hilton by the Tampa Convention Center. For location information, contact Tim Areson, vice president of Intelligent Devices, at 410-960-1915. 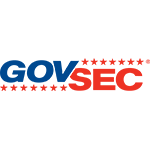 Transformational Security will be exhibiting at the ASIS trade show in Atlanta, GA. We are exhibiting in booth number 4294. Visit us at ASIS 2014, where we will have all our exciting products on hand, and staff will be available to answer all your questions. At ASIS 2014, you'll find the most valuable information, connections, and solutions available at the one event with the power of ASIS behind it. And security professionals like you will come from far and wide to be there. Join Transformational Security at this year's GovSec trade show in Washington, D.C. We are exhibiting in booth number 2633. We will have all our exciting products on hand, and staff will be available to answer all your questions. Transformational Security will be exhibiting at ASIS, McCormick Place, Chicago IL. We are exhibiting in booth number 3611. We'll have all our exciting products, and staff on hand to answer all your questions. At ASIS 2013, you'll find the most valuable information, connections, and solutions available at the ONE event with the power of ASIS 2013 behind it. And security professionals like you will come from far and wide to be there. Transformational Security will be once again exhibiting at the ASIS Conference in Philadelphia, PA. We are exhibiting in booth number 4536. We'll have most of our new products to include our new “Knock-Down Device” and DMP Wireless Alarm Kit. Our staff will be on hand to answer all of your security questions. At ASIS 2012, you'll find the most valuable security information, connections, and solutions available at one location. Transformational Security will be exhibiting at the ISC West Tradeshow in Las Vegas, NV. Visit us at booth, 23148 we are co-located with MTN Government Services, a strategic partner who has graciously given us booth space. We will demo our new Emergency Notification System, which features our new “Knock-Down Sensor.” Our staff will be on hand to answer all of your security questions. Transformational Security will be exhibiting at ASIS, Dallas Convention Center, Dallas, TX. We are exhibiting in booth number 4536. We'll have all our exciting products, and staff on hand to answer all your questions. At ASIS 2010, you'll find the most valuable information, connections, and solutions available at the ONE event with the power of ASIS 2010 behind it. And security professionals like you will come from far and wide to be there. Join us at ISC East in New York City from 27-29 October 2009. Be sure to stop by Booth 1355 to see our latest products.